Wrapped up shooting the Saskatchewan part of The Broken Altar hitting up nine drive-ins (both operational and abandoned) in seven days. 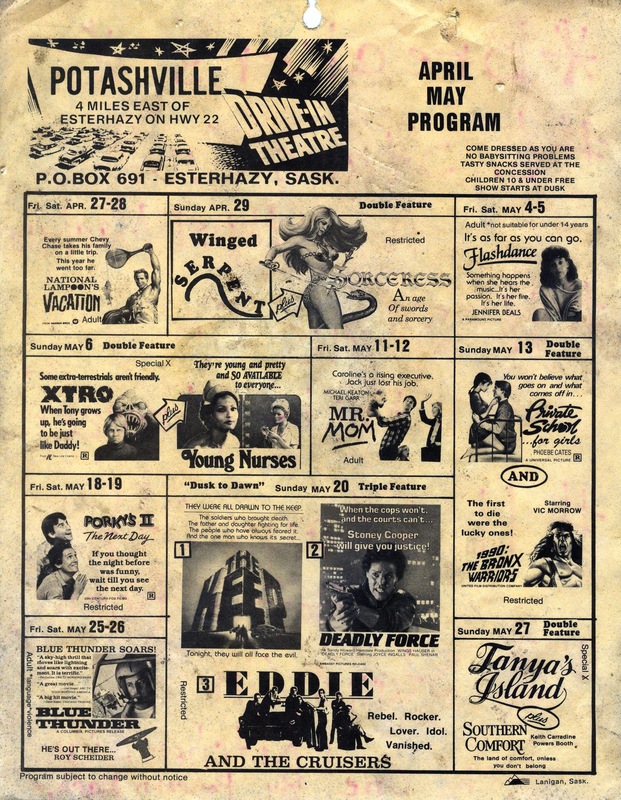 There are four drive-in theatres currently operational in Saskatchewan: the Prairie Dog in Carlyle, the Twilight in Wolseley, the Jubilee in Watrous, and the Clearwater in Kyle. Unfortunately one of the abandoned drive ins, the Twin Pines in Prince Albert, was demolished the week I arrived in the province. 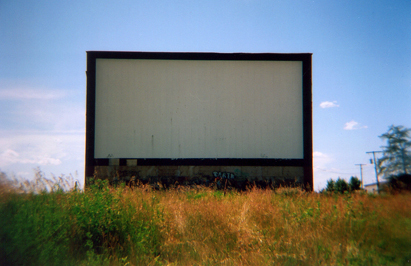 This drive-in theatre was a childhood memory of mine that I wanted to capture on film but now all I have is a simple Holga photo of the screen taken at the beginning of July (see photo below). 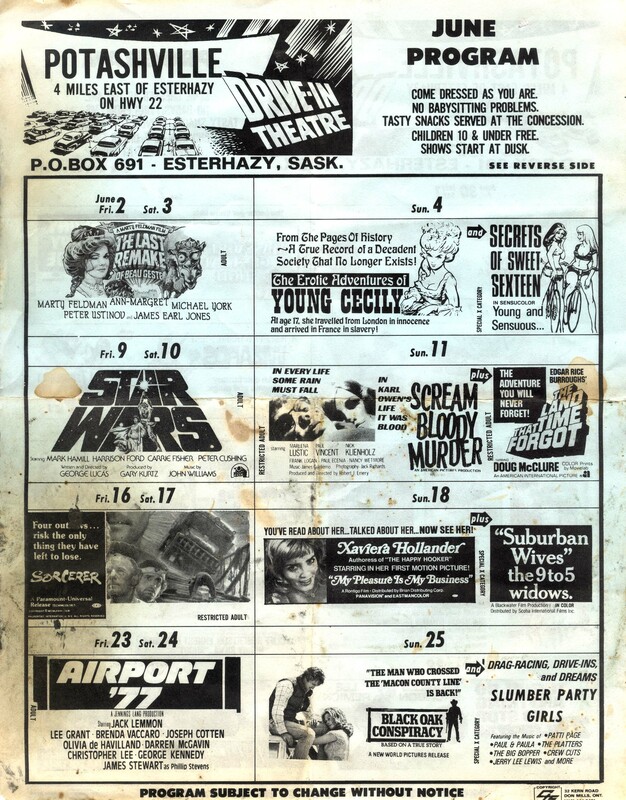 Along the way I discovered small treasures and tokens from the abandoned drive-ins such as the programs pictured above dating from 1977 and 1983 from the Potashville drive-in. Cool relics. 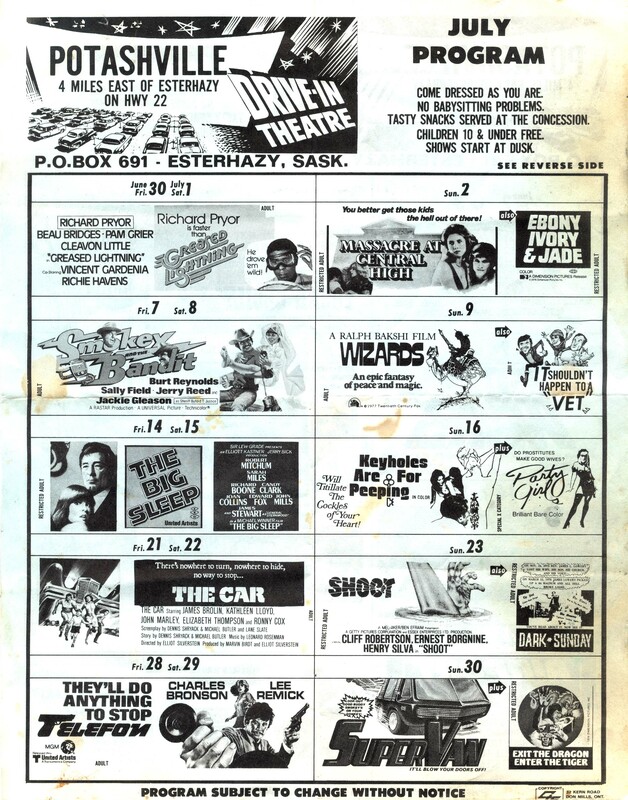 I miss these small town schedules, though the one at the top would have been from 1984, not 1983, as THE KEEP originally opened in December of 1983. All of these movies were already on video by the time they made it to this screen.